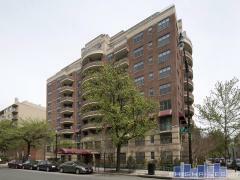 Towne Terrace East is a 10-story high-rise condo building located at 1420 N St NW between 14th St and 15th St in the Logan Circle neighborhood of DC. This condo building was completed in 1964. There are a total of 141 condominium homes at 1420 N St.
Have any comments or questions about Towne Terrace East? Ask your question and/or share your thoughts about this Building.